Blanchard and Company, Inc., was founded upon and continues to be driven by the belief that precious metals and rare coins possess unique qualities that make them attractive holdings for any long-term investment strategy. The hard work of two Blanchard visionaries — Jim Blanchard and Donald Doyle — helped pave the way for the millions of investors today who leverage these tangible assets to enhance and protect their wealth. Blanchard is committed to personally delivering the best products and most effective services available that allow investors to enhance and protect long-term wealth though the strategic acquisition of tangible assets. Blanchard has provided hundreds of thousands of clients with the expert consultation they need to strategically acquire American numismatic rarities and gold, silver, platinum and palladium bullion for their investment strategy. According to their website, they are unequaled in terms of breadth of experience, personal service, inventory and expertise. More than 85 experienced and knowledgeable professionals focus on serving the long-term financial interests of our clients. Based on customer reviews across the BBB, Trustlink, Ripoff Report – Blanchard has been reported to charge a hefty premium above spot for their precious metals. If you are simply looking for a Gold IRA, it would be advisable to go with a company that specializes in Gold & Precious Metals IRA’s. 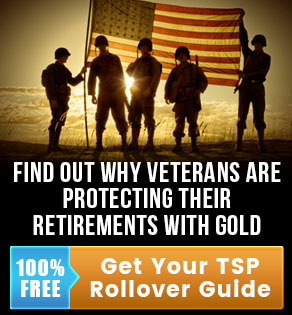 The Gold IRA Rollover information on the Blanchard website is sparse and more difficult to find when compared to other specialized company sites. Where Blanchard also lacks is with a highly visible, quick online Gold IRA account setup. In todays digital world, it is preferred to have control of your application online, right from your phone, tablet or computer browser, 24 hours a day. For those who appreciate a storied history in the gold industry, Blanchard is 2nd to none with 450,000 customers served to date. in 1971, Jim Blanchard spearheaded a nationwide grassroots movement to legalize gold ownership, seeing it as a core right and a key to individual prosperity. He founded the National Committee to Legalize Gold. Blanchard is clearly a staple in the Precious Metals industry with deep knowledge of bullion and numismatics, however for a Gold IRA, look elsewhere.